I know, I know.......flowers again. It's the season for planting all the pretty flowers in the landscaping and hanging pots of them on the porch and even grabbing a bunch of them at the store to take to your beloved. 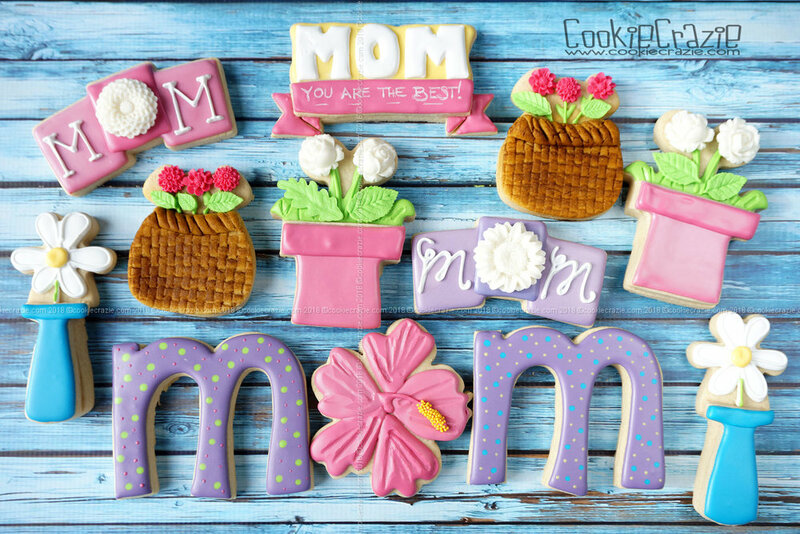 To all the moms......I hope your day is bright and cheery with all the love and appreciate throw your way on this special day. Older PostNEW CookieCrazie Online Decorating Class: Summer Food!